Today only, CowBoom (Best Buy Company) has the new (not preowned) Samsung Galaxy S4 Zoom AT&T No Contract Smartphone Sale Priced for $179.99 plus $5 shipping. This model is like a camera with a smartphone included. 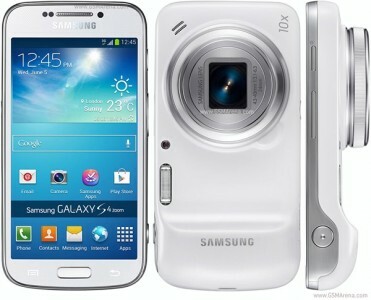 It features a 16MP rear facing camera with 10x optical zoom and optical image stabilization. Also records 1080 motion capture at 30fps. This is a 4G LTE Smartphone running on the AT&T Network.